it is rumoured that Santa himself will visit the Carol on the Mountain event to to spread some Christmas cheer. 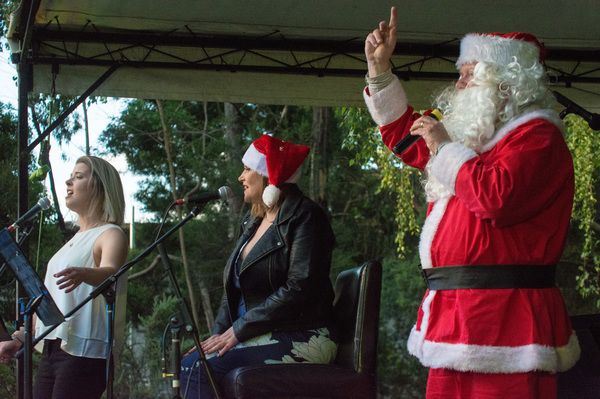 Residents of Olinda: it’s time to warm up those vocal chords and crack out the jingle bells. For a gold coin donation, families can attend the community event Carols on the Mountain, held at the Ferny Creek Recreation Reserve. For those who love a good sing-along and the general spreading of Christmas cheer, the event is a highlight of the hills Christmas calendar. With showings by local artists and a myriad of other performances, including bands and singing groups from the hills, there’s lots of fun for the whole family. Karen Noonan, Monbulk Fire Brigade secretary and the event’s organiser, said the carols were a joyous family-friendly night of singing. 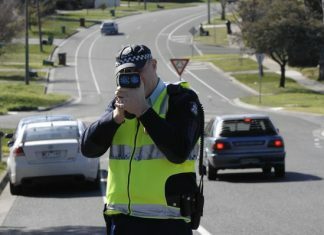 “We originally set out for it to be a fund-raiser for the brigade but in fact that didn’t happen, as it just covered the cost of holding the event,” she said. The popular event has been held nearly every year since 2005, and invites local schools to perform many traditional carols on stage. “We have local schools, Ferny Creek, Sassafras and Sherbrooke Community School, who will be performing,” Ms Noonan said. “Then Upwey High School is combining with Monbulk College to form the hills band. And there’s also Tecoma Sing Australia and also Southern Voice. At the end of night, it is rumoured that the big man in red himself – Santa – will arrived to spread some Christmas cheer. Carols on the Mountain is held at Ferny Creek Recreation Reserve on Saturday 15 December from 7.30pm to 9pm.